Newcomer Family Obituaries - James Southers 1924 - 2018 - Newcomer Cremations, Funerals & Receptions. James Herman Southers, of Commercial Point, Ohio went home to be with his Lord and Savior, Jesus Christ on September 13, 2018. Jim was born August 9, 1924, in Chattaroy, West Virginia, to the late Wallace Southers and Rosa Gilliam Southers and preceded in death by 14 brothers and sisters, his grandson Christopher Eli Martin, his granddaughter Kristy Southers Woodcox, and great granddaughter Danielle Woodcox. He is survived by Helen, his loving wife of 69 years, sons Gary Southers (Susan Parham Southers) Columbus, Danny Southers (JoEllen Walker Southers) Ashville, Terry Southers (Stephanie Pettibone Southers) Grove City, and daughter Penny Southers Martin (Chris Martin) Commercial Point. Pa, (as he was affectionately called by his grandchildren) dearly loved each one of them in his own unique and caring way, starting with Mike Southers, Ashville, Michelle Southers, Columbus, Ryan Southers, Ashley, Ohio, Kristy Southers Woodcox, deceased May 8, 2005, Ashley Martin, Grove City, Christopher Eli Martin, deceased March 28, 1990, Ashia Martin, Commercial Point. He is also survived by several great grandchildren, as well as several more great, great grandchildren, and countless more friends and loved ones who will miss him dearly. Jim proudly served his country, as an infantryman in the U.S. Army during WWII. While fighting in Italy he earned the Bronze Star for heroism by saving the life of a drowning comrade in the Sele River. After returning home from the war, Jim attended Marshall University, where he earned his degree in teaching. 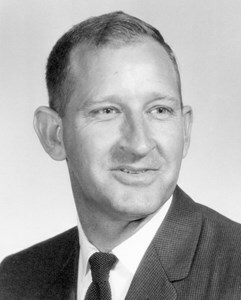 After graduating from Marshall in 1956, He taught in West Virginia for several years before moving into Ohio in pursuit of grerater opportunities to provide for his family. Jim taught math and science in the Teays Valley School District and retired in 1982, often stating his love for teaching and helping his students to be the very best they could possibly be. His greatest earthly passion was baseball. He often made the statement that “I spent my entire life doing two things, going to church and playing ball. He actually continued playing softball until the age of 75 before he finally decided to hang up his glove and bat. Jim was a lifetime follower and avid fan of his beloved St. Louis Cardinals, a family tradition that continued from his children all the way down to even his great great grandchildren. The only love that superceded Jim’s love for his family was his love for his God. He was a member of the Church of God in Grove City. His passion of witnessing to others about Jesus Christ demonstrated his love for God and people. He was not inhibited in the least in sharing “The Good News” of the gospel of Jesus Christ with anyone who would stop and talk with him. Until only about a year ago, you could faithfully find Jim at the Meijers store on 665 every Wednesday and Friday, between noon and 1:00 o’clock greeting people and talking to them about God and His Son, Jesus Christ. Though we are heartbroken and will miss him immensely, we take much solace in knowing that Jim has at last reached the destination that he has striven for since the day he gave his heart to Jesus in December of 1948. He now rests peacefully in the loving arms of God, as he now waits for his family and friends to once again reunite with him. Visitation will be held from 4-8pm, Sunday, September 16, 2018 at the Grove City Church of God, 4325 Harrisburg Pike, Grove City, OH. A funeral service will be held at 10:30am, Monday, September 17, 2018 at the church. Burial to follow at Beckett Cemetery, Commercial Point, OH. Add your memories to the guest book of James Southers. With sympathy on the loss of Jim to all the family. What an awesome man he was. I have lots of fond memories of Jim. He is at peace and at home with his lord and savior. Jimmy is cemented as part of my childhood...always made us laugh but serious about God. You will be so missed I am so glad I got visit you these last couple of months but it wasn’t enough time. I will remember all your wonderful stories from you being in the war to baseball to loving GOD. And how much you loved Aunt Helen. And you loved everyone!!!!! “Thank Ya Much” Mr. Southers For All The Good Memories. I had the privilege of knowing Mr. Southers since I was a little girl. I loved swinging on his porch swing with him and knowing he would have an endless supply of Juicy Fruit gum. I will miss seeing him everyday in th summer swinging away, but I’m sure he’s swinging on a beautiful swing in Heaven. I’m so sorry for your loss. Jim was a wonderful man. It was such a pleasure walking in the grocery store and being greeted by Jim with a heartfelt "God Bless you" with a big smile for everyone. My thoughts and prayers to the Southers family. Mr. Southers was such a wonderful fellow and teacher. His kindness will always be remembered by the Davie family.